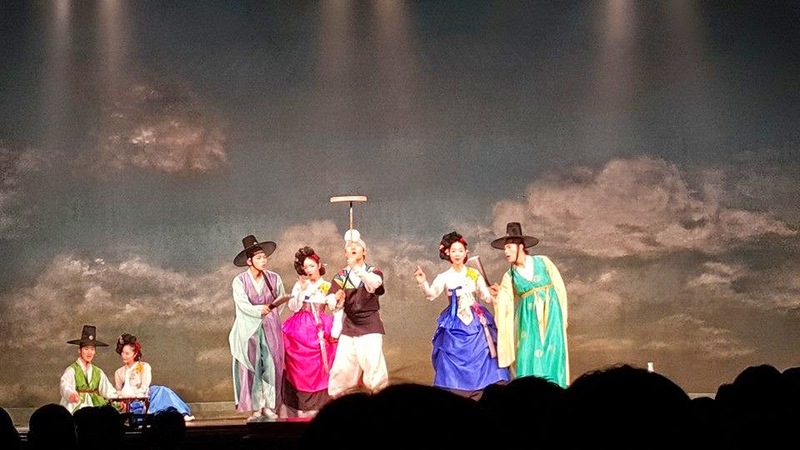 About the performance, Miso: Baebijang-jeon is a satirical novel representative of the Joseon Dynasty which tells the story of the fateful encounter of Secretary Bae, an official that we can't help but love, and Ae-rang, a beautiful woman who is proud and clever. Secretary Bae who is married is sent to Jeju Island to accompany the new magistrate. 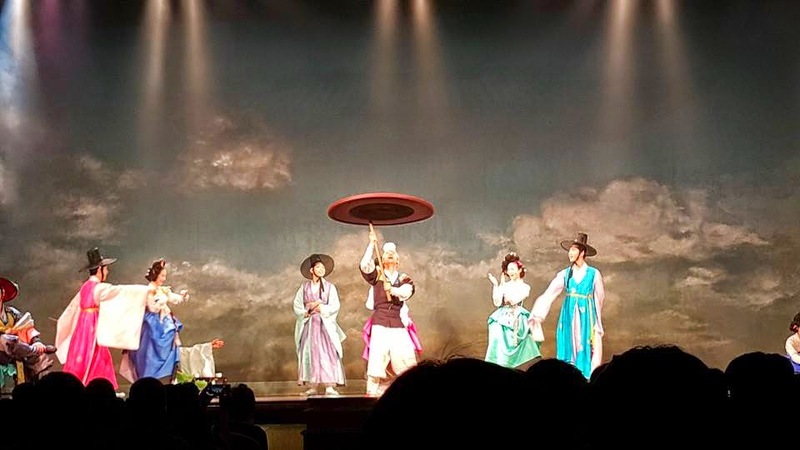 At the welcoming ceremony, he vows to be loyal and faithful to his wife by refusing to mingle around and also kept scolding other secretaries for socializing with gisaengs (courtesans). The magistrate wanted to test if Secretary Bae is a man of his word so he asked one of Jeju's most beautiful woman Ae-rang to try seducing Secretary Bae. With the help of Secretary Bae's servant, after seeing Ae-rang taking bath at the waterfall Secretary Bae fell into love sickness and started to look for Ae-rang. The story ended with Secretary Bae getting caught in the test (prank) by the magistrate. You can read the official synopsis here. Anyway, the hour lasted about an hour and 15 minutes which is relatively short to me. Maybe I just can't have enough of those pretty Hanbok. 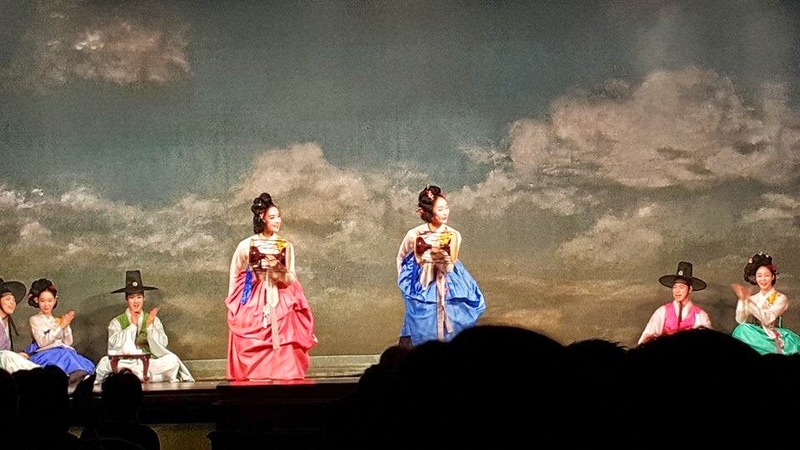 For those who don't know, Hanbok is the Korean traditional attire for the ladies. I really love the colours and how feminine it look. 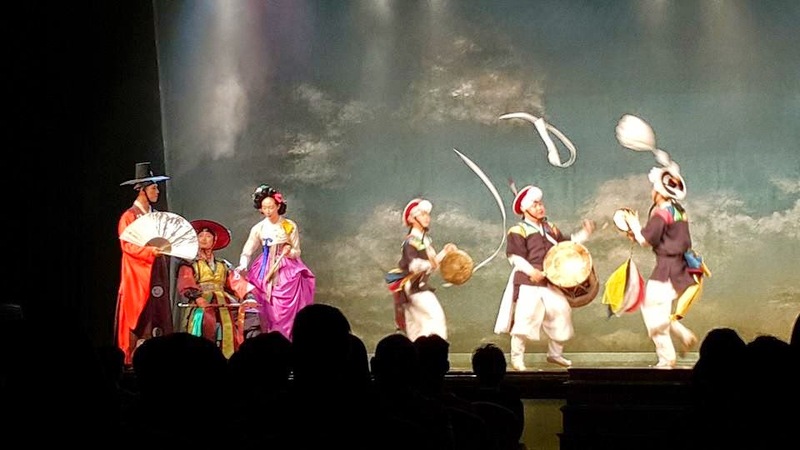 The performance was filled with dances, mixed with elements of Pansoori and other traditional Korean performance. 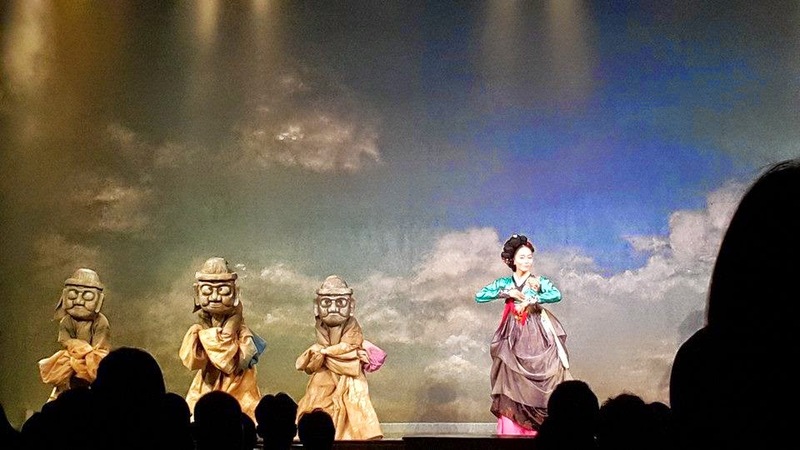 This modernized theater was presented by a Korean theater group called Jeongdong theater. It has funny elements too! I found myself giggling at times while watching. The only downside of the performance that day was probably the venue. 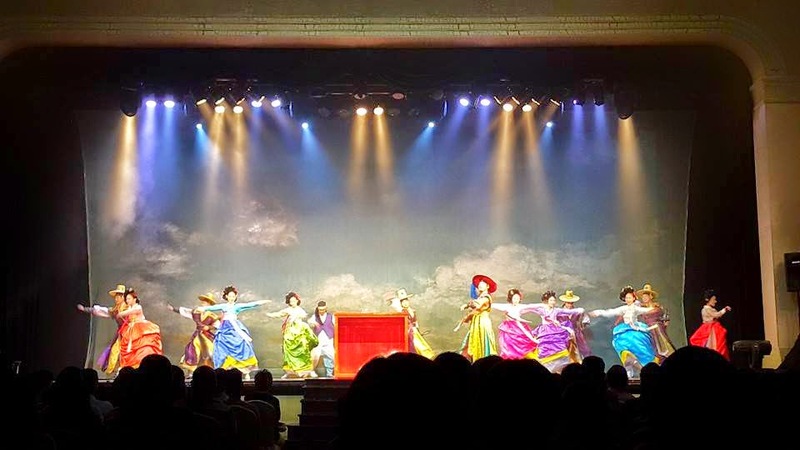 It's hard to see as it was performed in a ballroom so people at the back were having some problem to see the stage. 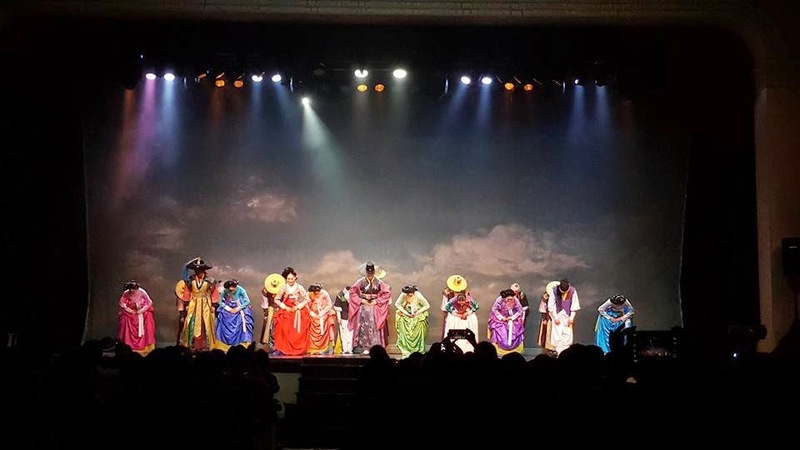 This performance is supported by the Ministry of Tourism and Culture Malaysia and brought here by IME Productions. 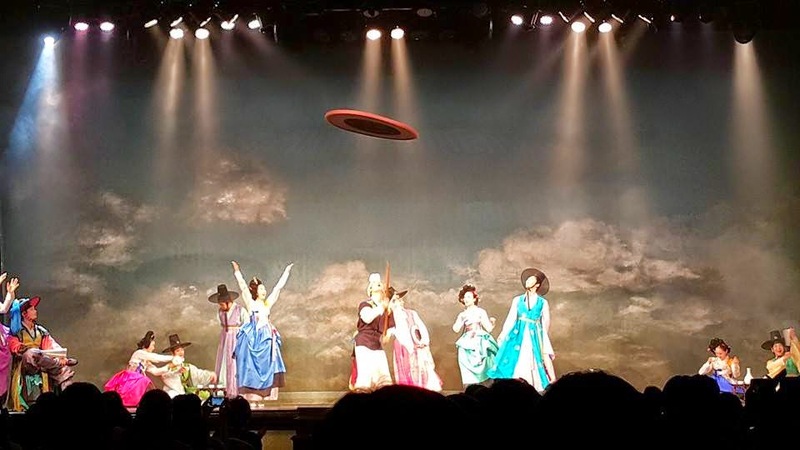 I just found out that this performance was in conjunction with International Women Day and was not actually open to public and only by invitation. 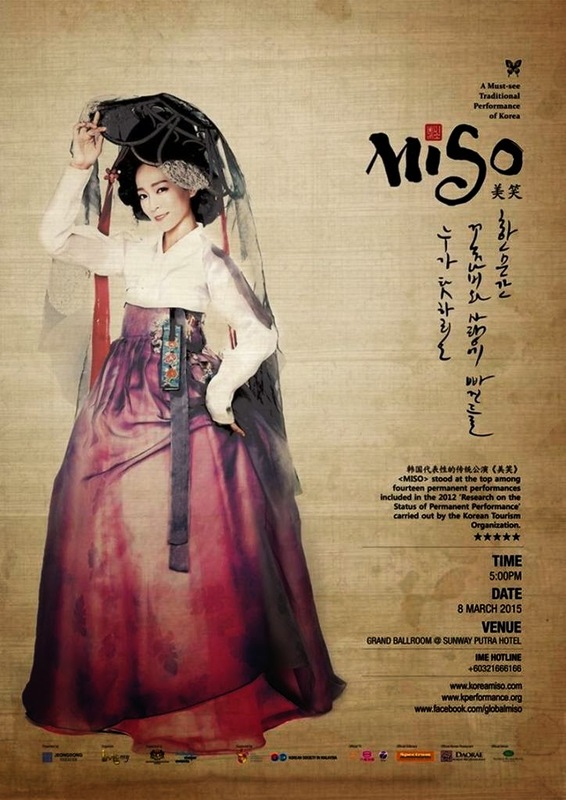 If you're going to Korea and want to go to watch this, you can check out their website and details here www.koreamiso.com . 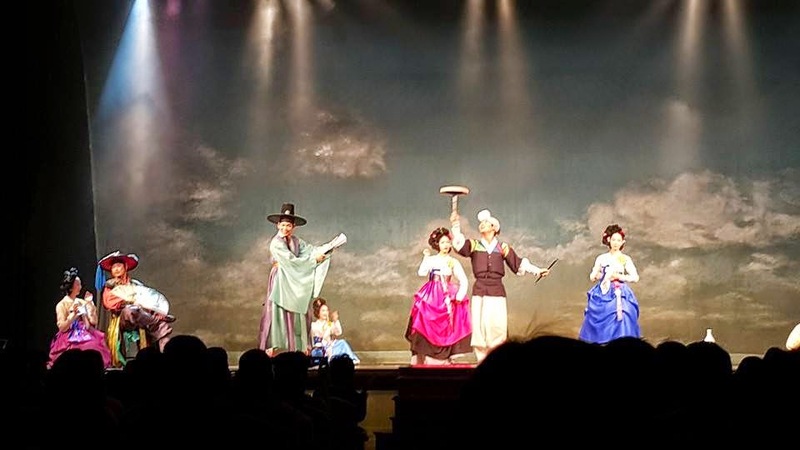 It is an open run performance (permanent) so I think it would not be hard to catch it if you check on the performance schedule. Thank you Miriam for letting me use your pictures! i was there too! it's an amazing show! yeah, i saw your instagram post! So nice.... !! Wish I can go watch it!!! i don't know if they will do it again. i love their shows.